In Dragon Ball Super, there is a Saiyan form called Super Saiyan God Super Saiyan or SSGSS. It’s a mouthful! Surely, there has to be an easier way to say this. Now, there is. A Super Saiyan God Super Saiyan is when a Saiyan gets the power of a Super Saiyan God and then becomes a Super Saiyan. The result is Super Saiyan God Super Saiyan (スーパー サイヤ人 ゴッド スーパー サイヤ人). 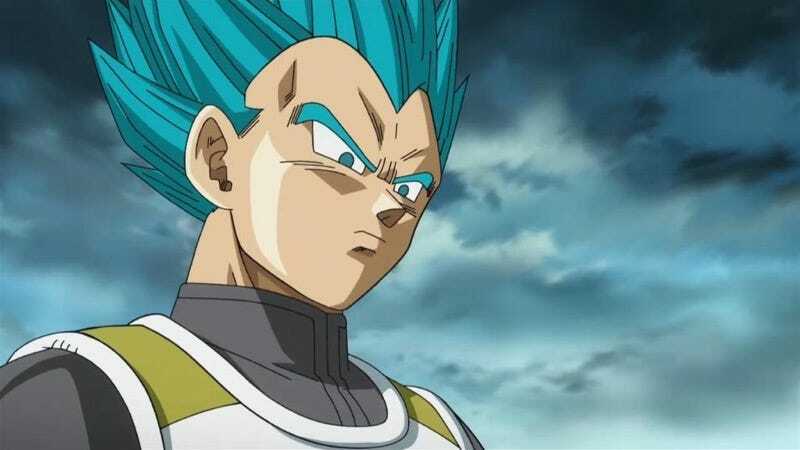 In Japanese, the form with its blue hair was revealed in the movie Dragon Ball Z: Resurrection F and caused quite a stir at the time. But the name Super Saiyan God Super Saiyan is just goofy. Thankfully, in the most recent Dragon Ball Super manga, the form gets a new name that’s much easier to say: Super Saiyan Blue. Goodbye Super Saiyan God Super Saiyan, hello Super Saiyan Blue! In case you missed it, check out Kotaku’s review of Dragon Ball Z: Resurrection F.